This is a continuation from the previous post on Active Savings Accounts, which are mainly targeted at salaried employees. For the self-employed/freelancers who do not draw salary through GIRO with transaction reference codes of SAL/PAY, or the frugal bunch who struggle with spending $500 on your credit card a month, fret not! There is a series of savings accounts that do not require you to complete the burdensome hurdles of salary crediting or credit card spending. In such scenarios, it will definitely be worthwhile to look into passive savings accounts instead. Personally, I feel that this is one of the most advertised savings account, as evidenced by the eye-catching glittering word, "STASH" seen from the external advertisement panels as well as stickers on taxis. But is this really as good as its marketing effort? Let's find out! UOB Stash Account earns bonus interest if the current month's Monthly Average Balance ("MAB") is greater than or equal to the previous month's MAB. In another words, it is probably safer to not perform withdrawals in order to collect the bonus interest for that month. Whilst it is good saving practice to impose restriction on withdrawal, it can be rather annoying if you have genuine emergency need for cash. Therefore, it might be prudent to pair it with another account that does not penalize on withdrawal (eg. active savings accounts). 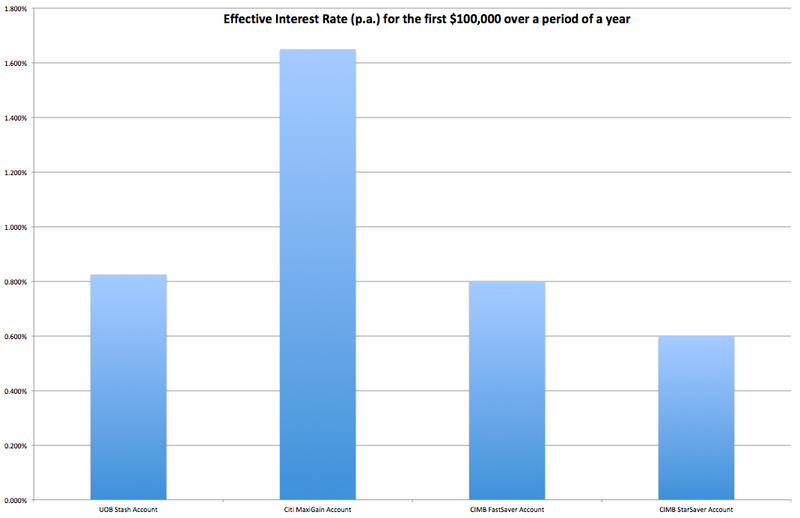 Your first $10,000 balance will only yield the base interest rate of 0.05%. To start earning the bonus interest on UOB Stash Account, you will need to have an account balance of more than $10,000. That is a relatively high barrier for passive savings accounts. 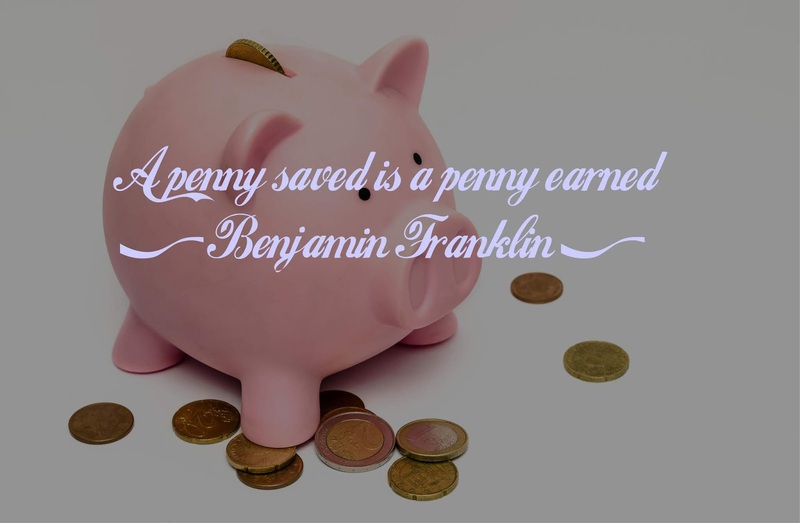 The savings plan allocates different bonus interest rate tier based on the account balance. 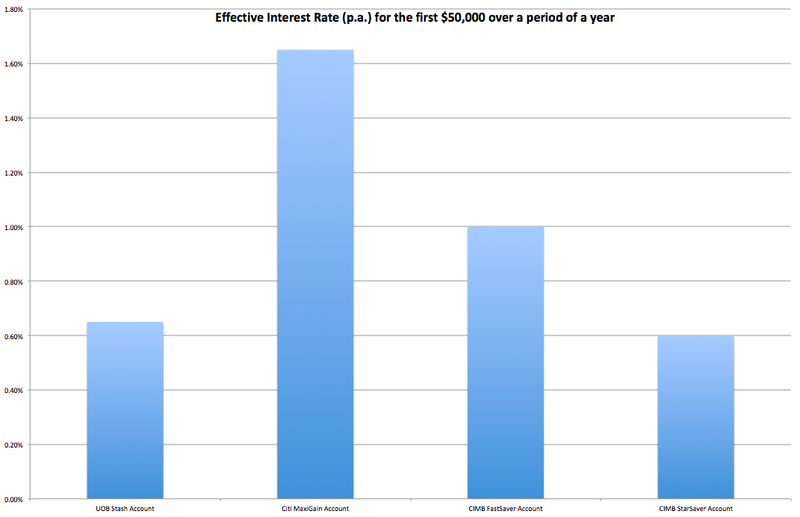 The effective interest rates for the first $50,000 and first $100,000 are 0.65% and 0.825% respectively. I would usually avoid Citibank products, primarily because there is a onerous prerequisite to maintain at least $15,000 to fulfill the minimum total relationship balance ("TRB"). Should the TRB falls below the stipulated amount, an account service fee of $15 will be charged. The base interest rate is equivalent to 80% of the 1-month Singapore Dollar Interbank Offer Rate ("SIBOR") and will fluctuate daily in accordance to the movement of the aforementioned rate. You can find out more about the latest SIBOR on the ABS website. In order to earn the base interest rate, a daily end of day balance of $10,000 is required to be maintained in the account. For the uninitiated, the SIBOR refers to the interest rate at which banks in Singapore can borrow funds from one another. You may probably have noticed that most of the banks have their mortgage loan rate pegged to the 3-month SIBOR. However, on the flip side, it is definitely unusual to have the interest rate of a savings account pegged to the SIBOR. Launched in Feb 2016, Citi Maxigain Account has been around for 2 years but the hype surrounding this passive savings accounts seemed to have picked up only last year. To investigate the rationale, we will conduct a lookback on the SIBOR trend from 2000. 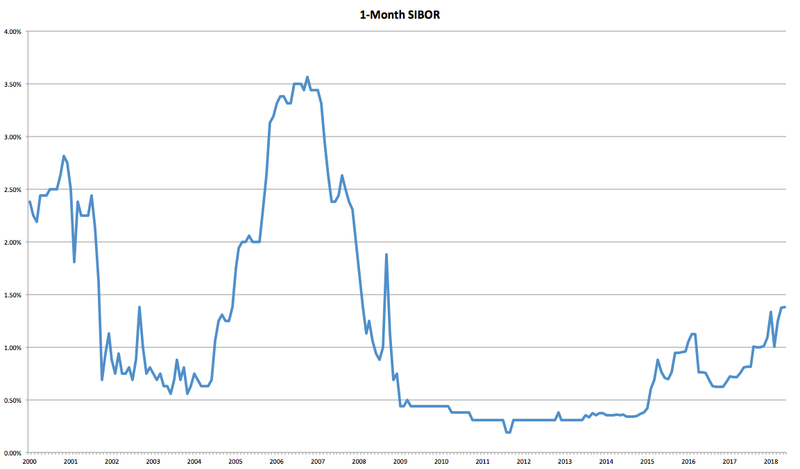 During the period from 2009 to 2014, SIBOR is at its lowest below 0.50% mark. It was only from 2015 onwards that it started to pick up momentum and rise above 1% in 1Q of 2016 and subsequently fall back to between 0.5% to 1% region. The average 1-month SIBOR in 2016 is approximately 0.79%. At this SIBOR level, the base interest rate will equate to 0.63%, which may not be as attractive if we set side by side with the active savings accounts on the market at that time. In recent times, the SIBOR has moved above the 1% mark since 3Q of 2017. At the current 1-month SIBOR of 1.38%, this will translate to 1.10% base interest rate. If we were to add in the bonus interest rate which can rise to the maximum of 1.2%, the total maximum interest rate will reach a whopping 2.3%! This can definitely match up against some of the active savings accounts which I have gone through previously. It is of little wonder that this is perceived to be the gem of passive savings accounts. As the economies across the world become increasingly intertwined and interdependent, it is unsurprising that the movement of the SIBOR can be affected by a myriad of internal and external factors. 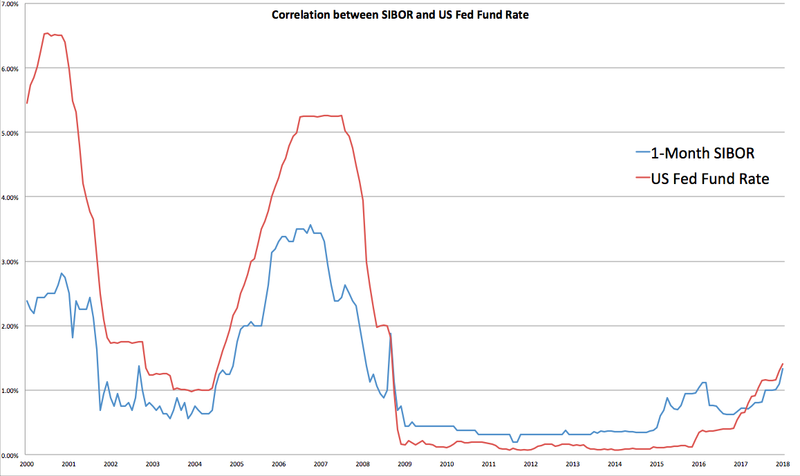 Amongst other elements, SIBOR is typically highly correlated with the US interest rates. If we were to include the comparison between the US Fed Fund Rate and the SIBOR, it is apparent that these 2 rates move in tandem. The current US Fed Fund Rate is at 1.75% after the FOMC has raised the rate recently in March. The Fed is signalling at least 3 rate hikes in 2018. With the information at hand, the direction which the SIBOR is headed may be foreseeable in the short term. Having the base interest rate pegged to the SIBOR can be considered to be a double-edged sword. Whilst there is potential upside to the base interest rate, it can be volatile and remained at the mercy of global forces. It operates via a counter mechanism which will increase the bonus interest rate by 0.1% along with each step up to a maximum of 1.2%. The counter starts at 0 and will raise by 1 each month provided that the lowest balance in a month is equal to or greater than the lowest balance in the previous month. What this effectively means is that the safest action is probably not to perform withdrawal on the savings account for at least 6 months. Once it reaches counter 12, it will remain so unless the aforementioned condition is not satisfied. The perceptive ones would have noticed that there is a safety net at Counter 6 which you can withdraw from your account without resetting the counter. Despite so, it might be prudent to pair it with another account that does not penalize on withdrawal (eg. active savings accounts). And what is more is that the total interest (Base Interest + Bonus Interest) applies to the first $150,000! That is a very high ceiling even in the context of active savings accounts. The considerable interest boosted by the current SIBOR trend, coupled with the substantial maximum amount of account balance for which the bonus interest is accorded, makes it one of the unrivalled savings accounts in Singapore. If the allurement of this passive savings account sounds too good to be true, it probably just might be. I have recently been notified that there should be a revision in its terms and conditions with effective from November. It is unconfirmed at this stage and more information will be released once the t&c has been updated. At this point, it would be recommended to wait for the official release before committing $15,000 for a minimum of 6 months (to avoid early closure fee of $50). This is truly one of the no-frills savings account you can find in Singapore. It earns an interest rate of 1% on your first $50,000 balance and 0.6% on the additional balance. The only prerequisite is to have a minimum deposit of $1,000 to earn any interest which is a much reasonable sum than the UOB Stash Account. Unlike most savings account, CIMB FastSaver Account does not have fall-below fee which means you can practically empty the account without any charges incurred. Furthermore, the account does not impose any restriction on withdrawal as the interest is calculated on a daily basis (on the entire daily balance) and credited to you monthly. Another unsophisticated and modest CIMB product is the StarSaver Account which offers 0.8% interest on the entire account balance, without any additional requirements. Similar to CIMB FastSaver, the StarSaver Account requires a minimum deposit of $1,000 to earn any interest and does not have any fall-below fee. There is an ongoing bonus interest promotion from 1 Mar to 31 Dec which applies on the incremental balance between the previous and current month's average daily balance. Unless you are transferring a large sum in and out of the account on alternate months, the interest earned on the incremental balance might be insignificant. Similar to FastSaver Account, StarSaver does not have fall-below fee which means you can practically empty the account without any charges incurred. Furthermore, the account does not impose any restriction on withdrawal as the interest is calculated on a daily basis (on the entire daily balance) and credited to you monthly. To get the best bang for the buck for the first $50,000 account balance, Citi Maxigain Account naturally leads the pack at approximately 1.65% over a period of one year with the assumption that the SIBOR stays constant at 1.38%. The runner-up is the CIMB FastSaver Account at 1%. If we were to raise the account balance to first $100,000, Citi MaxiGain Account still has the advantage and takes the lead at 1.65% given that its tremendous maximum amount of account balance of $150,000 for which the interest is accorded. For the second placing, UOB Stash Account has overtaken CIMB FastSaver Account with a meagre difference of 0.025% in interest. I would definitely forgo this little interest for flexibility of performing withdrawal. Truth be told, I felt rather ambivalent regarding the pick for this segment. Unequivocally, Citi MaxiGain Account should take the cake in this category and fit impeccably as the rightful addition to the ideal combo. However, what concerns me is the high TRB barrier and the upcoming revision to its t&c which might make it less attractive or put the existing accountholders in an unfavourable position. For now, I would stay on the safe side and propose the dual CIMB savings accounts to complement the active savings accounts which I have touched on previously. CIMB FastSaver Account yields 1% on the first $50,000 and the remaining can be placed with CIMB StarSaver Account at 0.8%. The reason that I have eliminated UOB Stash Account from the selection is because I personally value the convenience of withdrawing over a slight difference of 0.025% interest rate. To be fair, the Citi MaxiGain account possesses great potential with its variable interest pegged to SIBOR especially in a rising interest rate environment. Further assessment will be made once there is more information regarding the revision to its t&c. Disclaimer: Kindly note that this is not a sponsored post. The author is in no way affiliated with any of the financial institutions and does not receive any form of remuneration for this post. The Boy who Procrastinates has compiled the information for his own reference, with the hope that it will benefit others as well. Makes the barrier even higher now! Thanks for the heads up. I have written a post recently to address the change in terms and conditions for Citi MaxiGain Account. The 600% increase in the barrier to earn base interest is shocking!